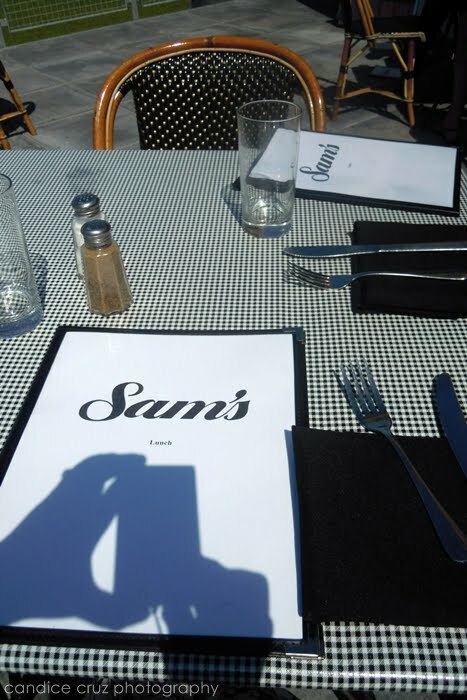 A couple of Saturdays ago, Tony and I were sitting outside on the patio at Sam’s, a restaurant in the Louis building in South Boston. It was one of the first days where the humidity had finally dropped so it was nice and sunny outside without being muggy. We forced ourselves to leave the apartment to do something – anything – outside. I convinced him to drive over to South Boston so that we could walk along the waterfront area near the ICA. We found a metered parking spot and walked over to the ICA and towards the water. It was such a beautifully sunny, summer day. I remembered reading about this restaurant recently opening up and sure enough, we spotted the Louis building from the ICA and decided to check out their menu. 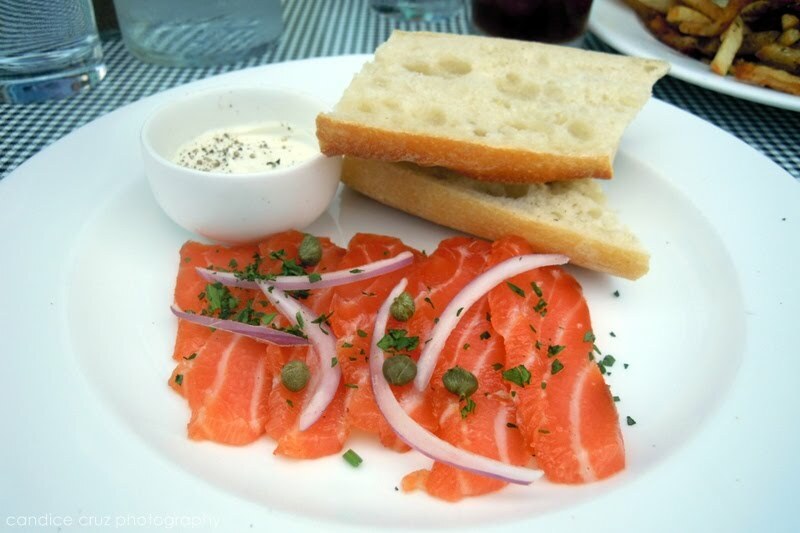 It’s kind of a cross between an American restaurant and French bistro, so they have a lot of nice dishes to choose from. 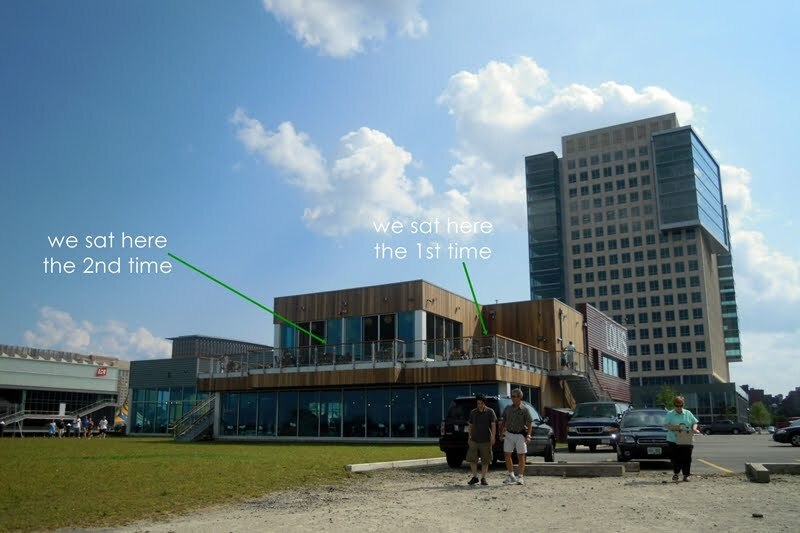 We were able to score seats outside on the patio area which was great because the view of the Boston harbor was pretty spectacular. 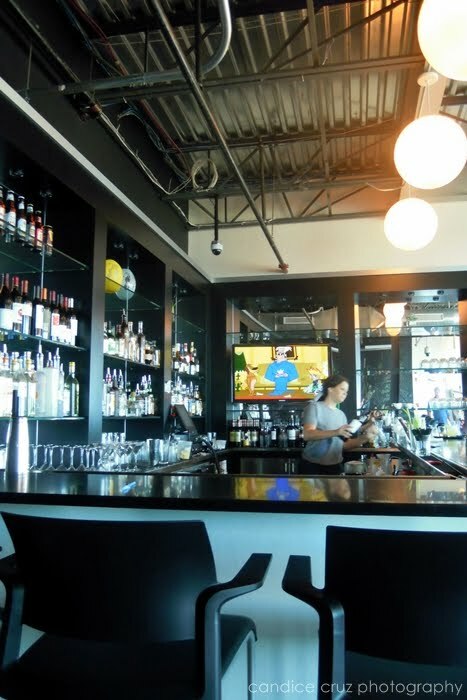 The inside of the restaurant is kind of like a diner scene, but with a modern twist. Some of the tables had half chairs and a large diner-like booth which was pretty cool. And of course, I love the huge windows looking out to the water. 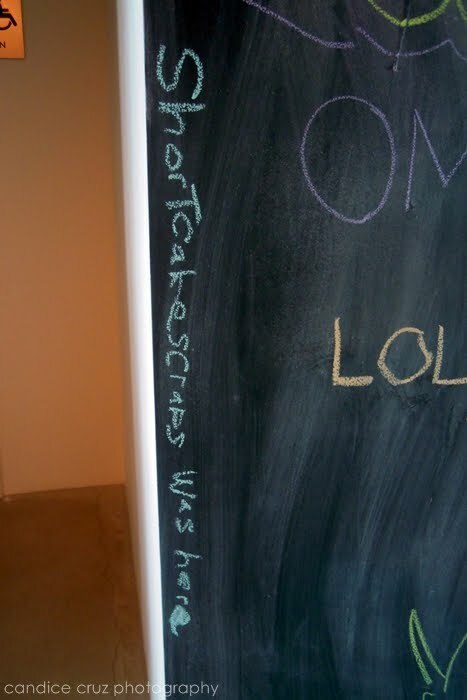 When you first walk in, you’re lead by chalkboard walls full of scribbles and drawings. We got there when they were serving food from their lunch menu. They also do brunch and dinner there. 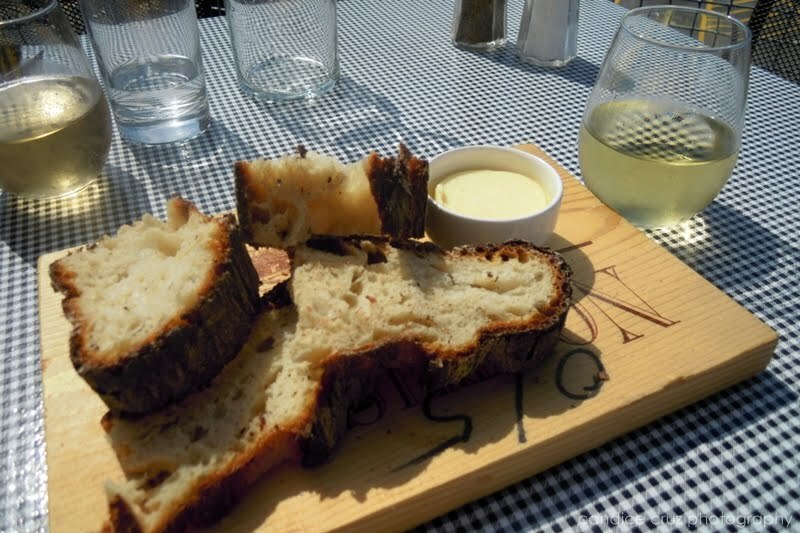 We were pretty hungry so we enjoyed some delicious, hearty bread with our wine while we waited for our food to arrive and had a nice time taking in the scenery. 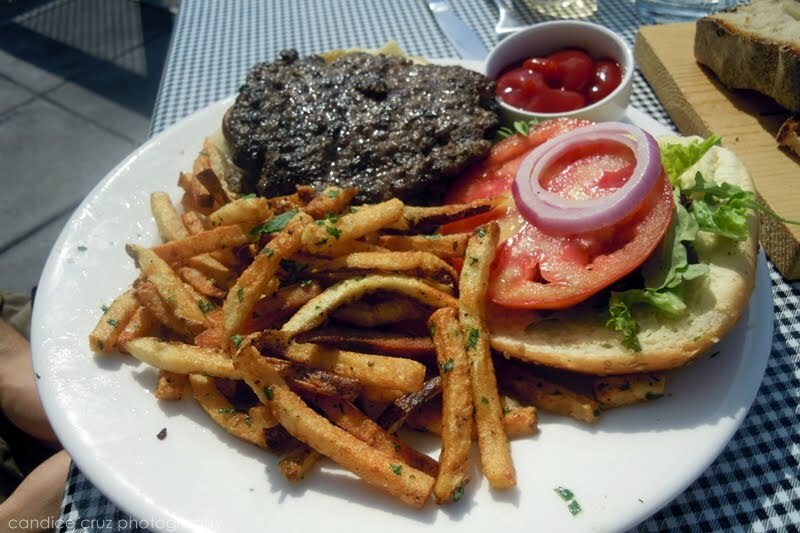 Tony had their black pepper burger ($12) and commented how he really liked that it was a thin patty. They didn’t ask how he wanted it cooked but it was prepared perfectly cooked through. 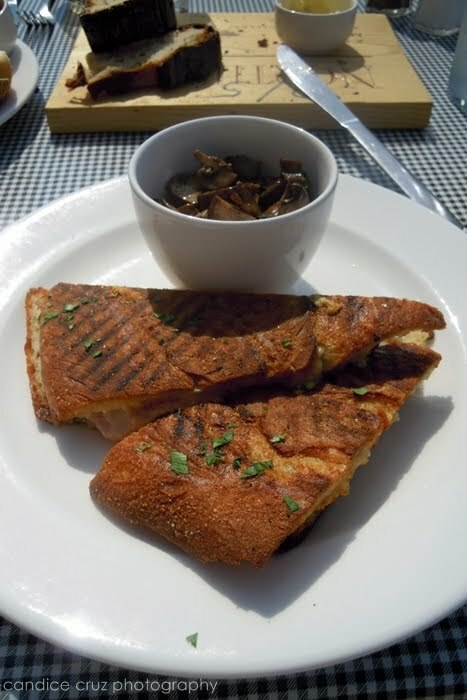 I enjoyed their pressed Parisian ham and comte cheese sandwich ($12) and opted for a side of sauteed mushrooms instead of french fries. It was delicious! So simple but so good at the same time. 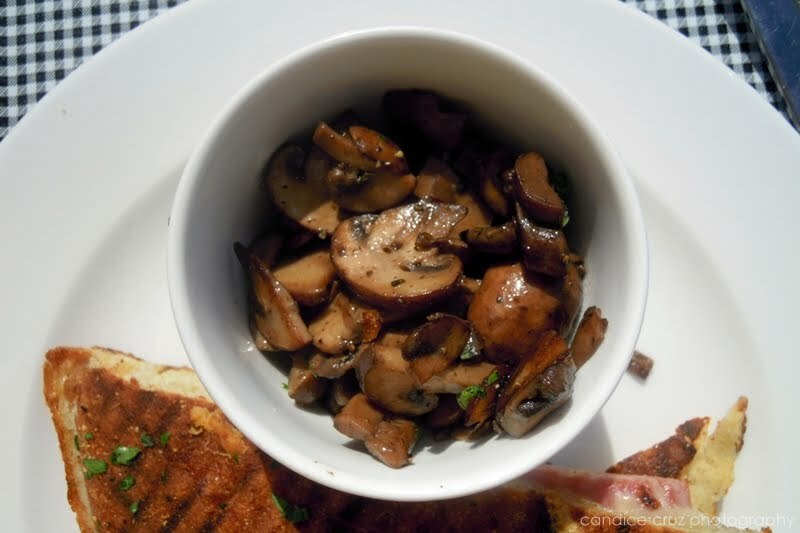 And the mushrooms were an excellent pairing. Fast forward a couple of weeks and here we are again, this time with my in-laws, my brother-in-law, and our nine-year-old niece before watching the Cirque du Soleil “Ovo” show. The same restaurant within a 2 week period? I think that’s a pretty good compliment, wouldn’t you say? This time, we were there during brunch. The nice thing is that they still offer some of their lunch menu items at this time, so my father-in-law and brother-in-law were able to enjoy burgers. 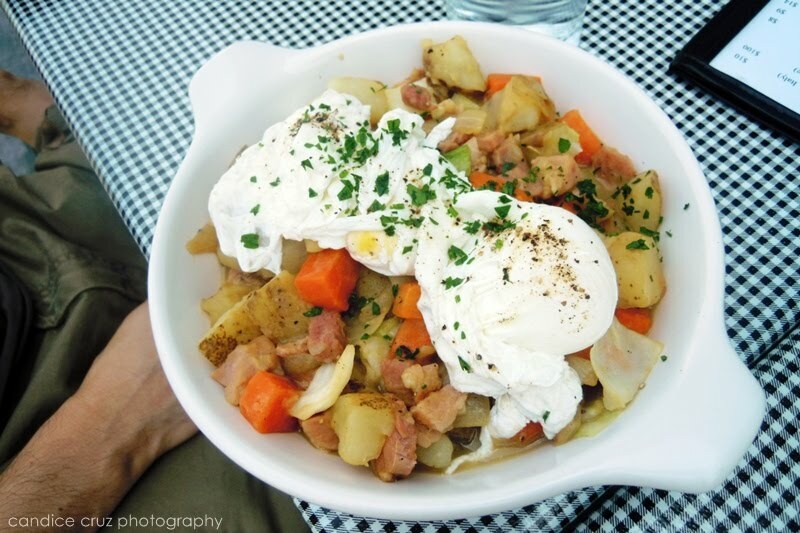 Tony and his mom both enjoyed the Nana Rogers’ pork hash with soft poached eggs ($12) dish. 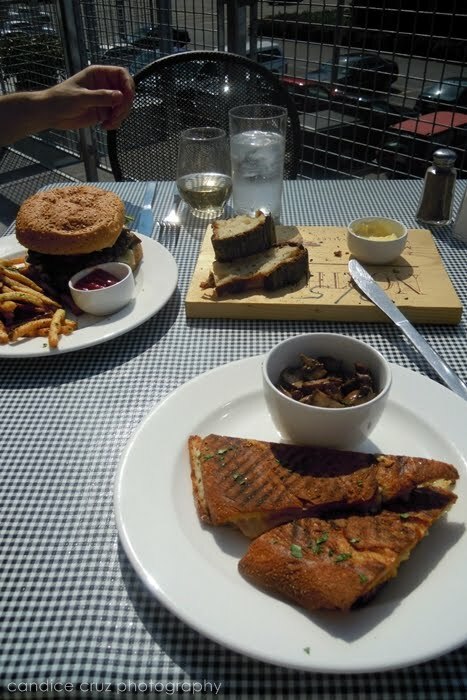 From what I could tell — their empty plates — it was a good choice and we all commented that it’s not a dish that you normally would see on a menu. The poached eggs were so nice and runny — mmm — the picture of the perfect combination of egg yolks and potatoes is making my mouth water as I type. 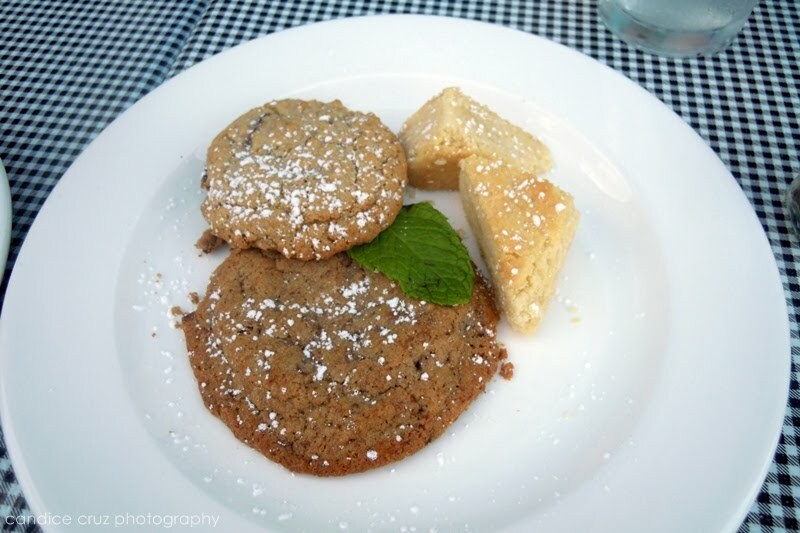 We ordered a plate of cookies ($8) for the table to share. Again, probably a little pricy for what you get, but hey, I think you’re paying for the scenic view and the waterfront location. 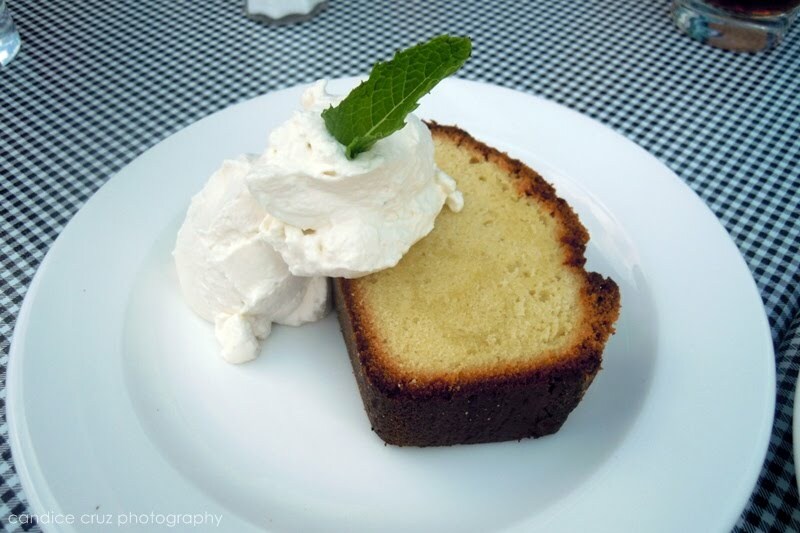 Our niece and I thoroughly enjoyed sharing the pound cake ($8) which was topped with a huge mound of Chantilly cream. It totally hit the spot without being overly sweet. Overall I think Sam’s is a great restaurant in the Fan Pier area. Again, can’t say enough about how the view of the waterfront is fabulous there. They offer 2 hours of validation at the parking lot next to them, but it’s also within walking distance from the South Station T stop. 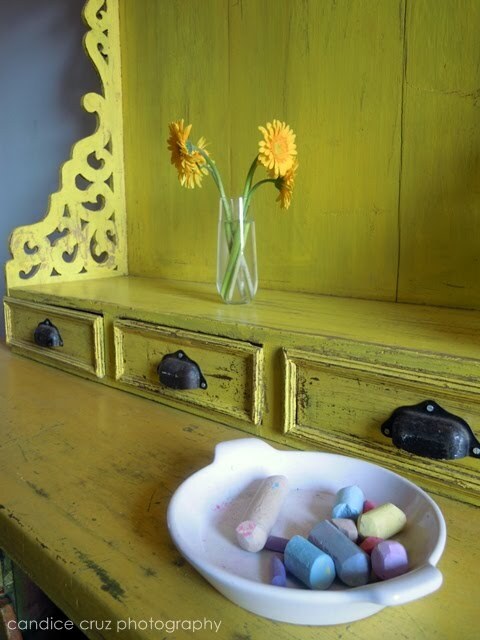 It’s great for small groups, a nice date, and seems kid friendly. Our only complaint was that there isn’t a kids’ menu for our niece to order from, but they were accommodating when she asked for scrambled eggs and bacon. It’s definitely a place I want to take my parents to when they come to visit Boston. This entry was posted in Boston, brunch, fan pier, louis, lunch, restaurant, sam's, sam's at louis, waterfront by shortcakescraps. Bookmark the permalink. Beautiful pictures. Thanks for the review.